The University of Dallas has more than 50 years of leadership in interdisciplinary learning, so it makes sense for this institution to also lead in the sustainability space. EarthPeople, a sustainability communications and consulting firm, announced today its partnership with the University of Dallas College of Business to host a panel discussion covering the ways that global corporations, mid-sized companies, and retailers are profiting from sustainability. The event will take place on Friday, December 13 from 7:30 – 10:00 AM the Haggar University Center on the University of Dallas campus. Panelists will explore how their organizations define sustainability, the processes they use, the outcomes they expect to achieve, and the tangible and intangible benefits of their respective sustainability strategies. Presenters include Garrett Boone, co-founder and chairman emeritus of The Container Store and investor in Treehouse; Nathan Joe Loftice, sustainability leader for FedEx Office; and Nelly Rocha Andresen, vice president quality, environment, health & safety and senior corporate counsel for eRecyclingCorps. The upcoming panel discussion is the first in a series from the Business and Society Network (BSN), an open forum for building relationships, exchanging best practices and fostering dialogue around issues of corporate social responsibility, sustainability and eco-innovation, and corporate governance. The BSN is the latest in new initiatives coming out of the UD College of Business, soon to become the Satish and Yasmin Gupta College of Business following a $12 million donation for the construction of a new facility. The morning program includes a complimentary breakfast, 90-minute panel discussion, and networking with D/FW business leaders. The event is geared toward professionals, students, and business owners interested in integrating sustainability into their operations, human resources, supply chains, marketing and other business functions. For more information or to register, click here to visit the BSN page on the University of Dallas website. EarthPeople is a communications and consulting firm that helps organizations profit from branding, corporate social responsibility, sustainability, and public relations strategies. Since launching in 2005, EarthPeople has helped start-ups, non-profits, municipalities, and Fortune 500s strengthen brand equity, human capital, and environmental leadership. Among its services, EarthPeople provides specialized communications, consulting, reporting, GHG and plastic disclosures, training, publishing, and stakeholder engagement. For more information, visit http://www.earthpeopleco.com. 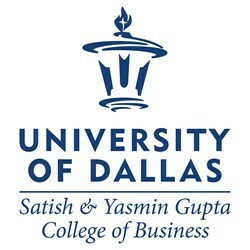 The University of Dallas College of Business, which grants master of business administration, master of science and, now, doctor of business administration degrees, has become one of Dallas/Fort Worth’s most popular choices for graduate business education. In November 2012, the college received accreditation from AACSB International, a distinction earned by fewer than five percent of business schools worldwide. For more information, visit http://www.udallas.edu/cob.